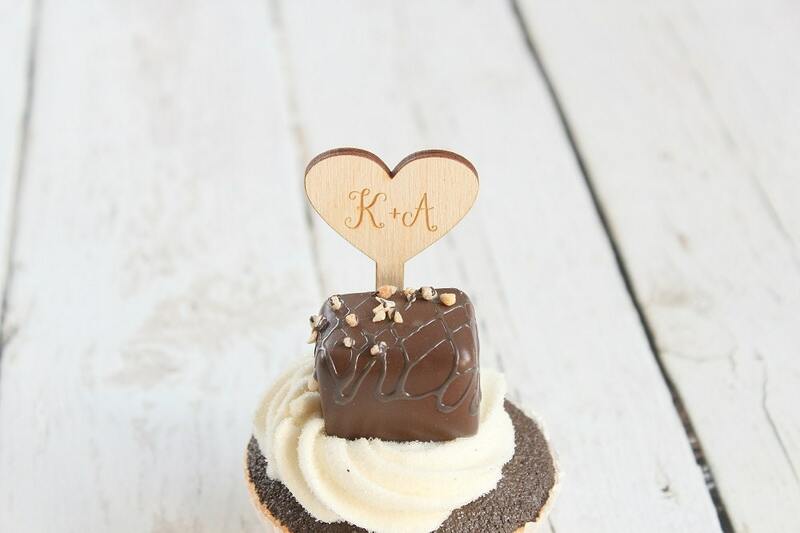 These wood heart cupcake toppers are adorable yet simple.! Laser cut and engraved. 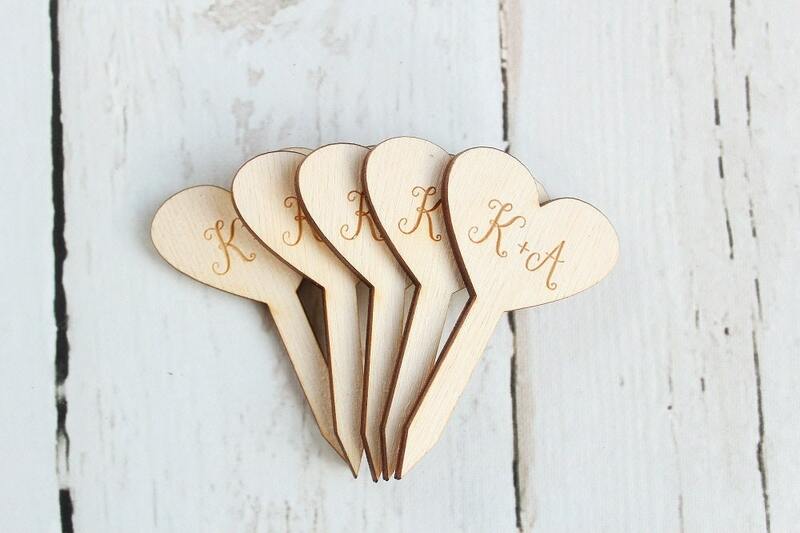 Perfect for weddings, bridal showers and more.! Please select initials to be used upon checkout. 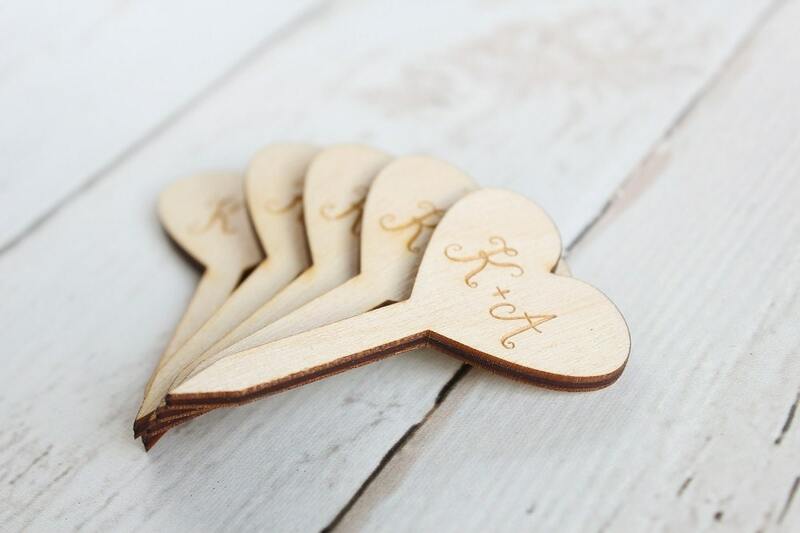 Heart: 1" high x 1.5" wide x 1/8" thick + 1.5" long attached stick. Sold in sets of (5). Good quality at a affordable price. So happy with these! The post office TRASHED the box during shipping but the seller packed the items very well so they were fine. 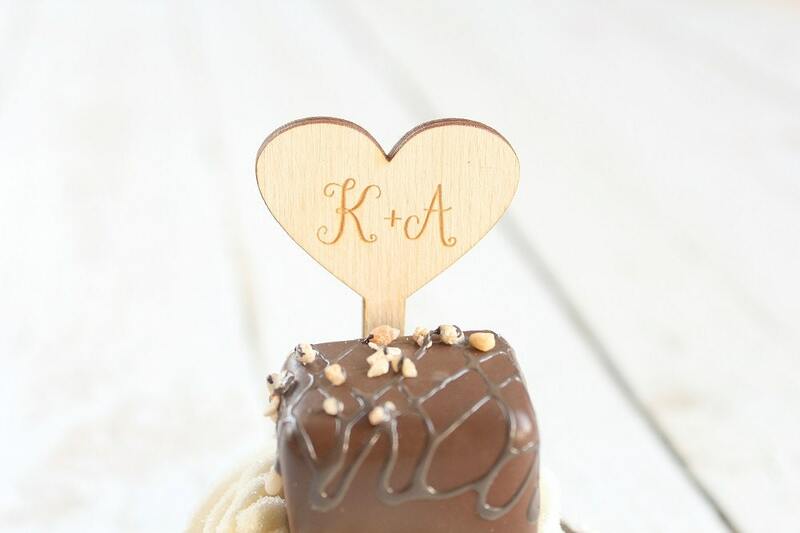 The quality is great for these cupcake toppers and i loved what i paid for it as well :) Thanks! So happy with my purchase! Quick communication, worked with me to get them on a tight deadline. 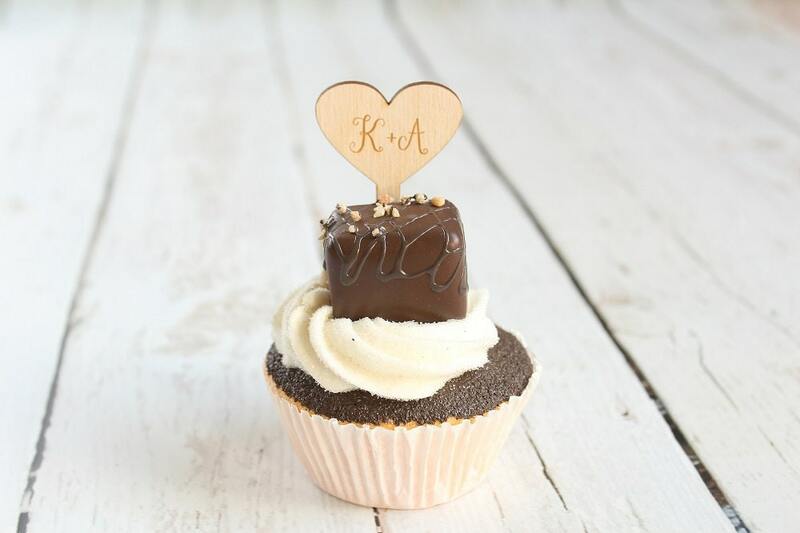 Superior quality, can't wait to put these on the tops of the mini cupcakes at my wedding next week:) Thank you!